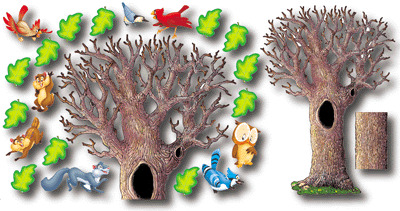 Learning will bloom with this realistic and easily adjustable 5' x 3' tree. Includes 30 leaves and seven creatures for interactive fun. Display Bulletin Board Sets on corkboards, walls, and doors to spark curiosity and reinforce subjects. Each set includes a bonus Discovery Guide rich in background information, ideas, and activities.